Russian assassination plots and Olympic cheating operations. One has to wonder whether Russia's military hackers want to be exposed, given how often they are. Or are these bungled operations just the tip of the iceberg? On Thursday, the United States, Britain and the Netherlands produced a stunning array of accusations against officers of the GRU, Russia's military intelligence service, for cyberattacks involving antidoping agencies, political campaigns, chemical warfare labs and the downing of a passenger jet. The coordinated revelations about GRU hacking over the past three years confirmed the many reports that have already emerged about a Russian cyberwarfare program working overtime under fanciful names such as BadRabbit, Fancy Bear or Voodoo Bear to push Russia's agendas abroad — mostly by trying to control the damage from embarrassing revelations about botched Kremlin operations. 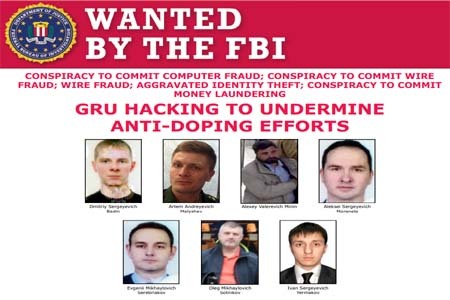 In Washington, the Justice Department announced the indictment of seven GRU officers for a series of cyberattacks, including efforts to hack into antidoping agencies in the United States, Canada and elsewhere, in an apparent attempt to stymie their investigations into Russia's systematic doping of its athletes . Three of those named were previously charged by the special counsel, Robert Mueller, with hacking into Democratic Party servers . Dutch officials, meanwhile, revealed a Russian attempt in April to hack into the Organization for the Prohibition of Chemical Weapons in the Netherlands, which at the time was investigating the nerve agent used in the attempted assassination by the GRU of a GRU double agent in Britain, Sergei Skripal . The Dutch caught and threw out four Russian GRU agents — noting that they were also behind an attack to hack a Swiss lab involved in the inquiry. Britain, for its part, released a report on GRU cyberattacks that disclosed an attempted hack on the Foreign Office and gave more evidence of GRU involvement in the leak of Democratic emails in 2016. All that, declared the British foreign secretary, Jeremy Hunt, amounted to “reckless and indiscriminate” attacks that left Russia isolated in the international community. But unless there are many more far more successful attacks that the United States and its allies have not disclosed, those revealed on Thursday seemed to speak, above all, to the pathetically unsuccessful efforts by Vladimir Putin & Co. to throw their weight around and then try to cover up their failures. The failed attacks on Mr. Skripal, the industrial-scale doping of Russian athletes and the downing of a Malaysian airliner in 2014 were massively damaging to Russia's standing in the world, and the disclosure that Russian military hackers tried to secretly sneak into agencies investigating them can only make the shame and ridicule greater. As for the 2016 election, the Kremlin must be wondering whether helping to put Donald Trump into the White House was really a triumph, given that it has produced no tangible benefits while generating a huge amount of ill will and a barrage of accusations and investigations. The Kremlin has responded with its usual ridicule of Western charges, calling them “ a diabolical blend of perfume ” in a rather sick reference to the perfume bottle used to poison Mr. Skripal and his daughter with a nerve agent. Mr. Putin, a former K.G.B. agent, seems not to have fathomed that few in the West are fooled by his propaganda antics or impressed by his power plays, and that his irresponsible cyberattacks serve only to further diminish his country's already dismal standing in the world. The Editorial Board represents the opinions of the NYTimes board, its editor and the publisher. Petroleumworld does not necessarily share these views. Editor's Note: This article was originally published by Oct 4 , 2018 . 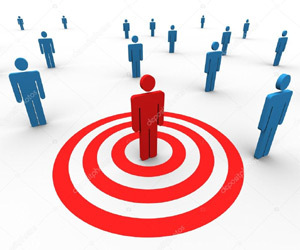 All comments posted and published on Petroleumworld, do not reflect either for or against the opinion expressed in the comment as an endorsement of Petroleumworld.